Rochester, NY – JTEKT Torsen North America, Inc. is pleased to announce that the Torsen® Type-2 differential for the Ford Ranger & Explorer version of the Dana 35 axle is back in stock and available for purchase. This differential, which fits the unique axle specific to the 4WD & AWD models of 1995-2001 Ford Explorer, 1997-2011 Ford Ranger, 1995-2001 Mercury Mountaineer and 1997-2009 Mazda B-series truck. The Torsen part number for this unit is 975420-0207B. 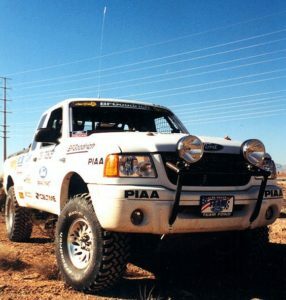 This unit was first developed to support Ford’s Best in the Desert race teams, way back in 2002. It was used by several teams, including Rob MacCachren & Steve Olliges, as well as the LASD team. Having a Torsen in the front axle also made a great compliment to the factory Torsen Type-2 that is used in the rear end of the late Ranger FX4 Level-2.